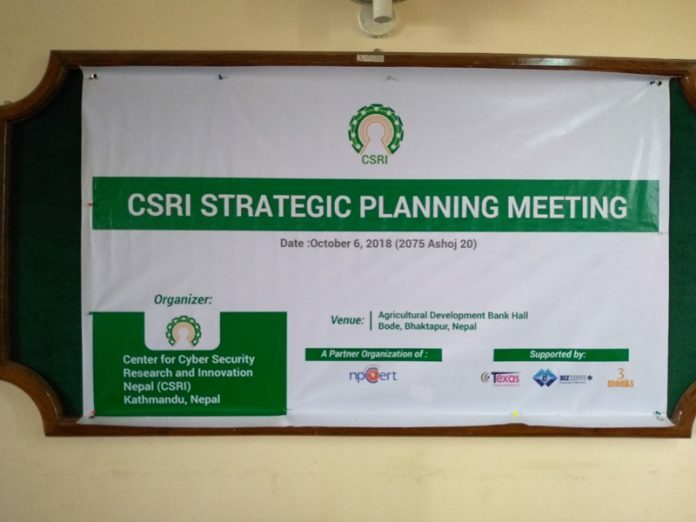 The first Strategic Planning meeting of the Center for Cyber Security Research and Innovation Nepal (CSRI) – the organization that works on various cybersecurity issues has concluded on Saturday at Agriculture Development Bank Hall, Bode, Bhaktapur. 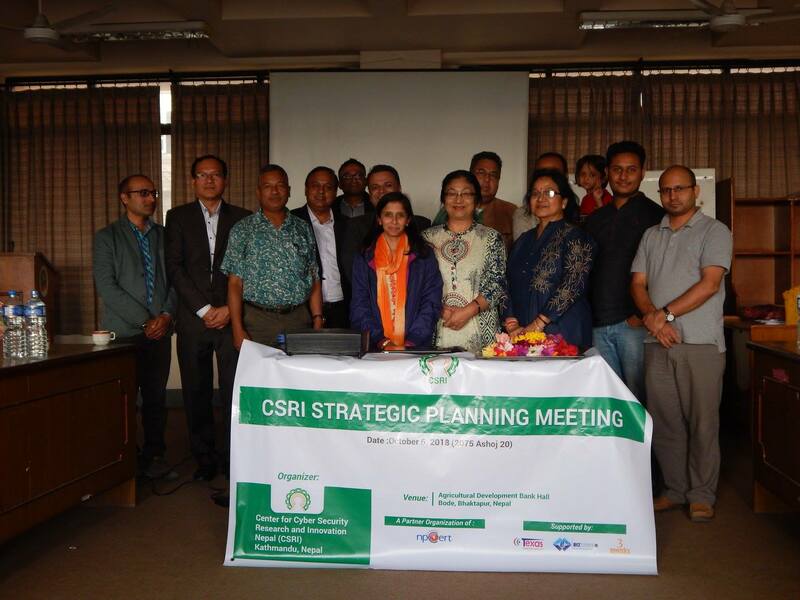 Participants from multiple sectors showed their presence in the meeting, former vice-chancellor of the Nepal Academy of Science and Technology (NAST) Professor Dr. Jiba Raj Pokharel was the chief guest of the event. 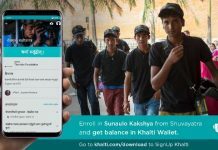 “Since the challenges on cybersecurity are increasing immensely our prime objective is to investigate and research on various cybersecurity issues,” said Dilli Chaudhary, General Secretary at CSRI. Chaudhary also delivered best wishes for festive of Dashain and Tihar. 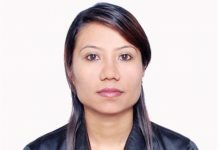 Sunaina Pandey Vice President of Federation of Computer Association Nepal (CAN) said, “along with private sites government web portals are also facing different sorts of attacks in Nepal.” Pandey suggested the team of CSRI to work in depth regarding these matters and try to bring positive changes in the field of cybersecurity. “Cyber Security is a significant issue because it directly put impacts in the economy of a nation,” stated Vivek S. Rana, IT Assurance Expert. Rana recommended the organization to conduct various programs that would bring development in cybersecurity. Chief Guest of the meeting Dr. Jiba Raj Pokharel said “we only focus on national security and ignores cybersecurity. In this digital age, cyber security should be prioritized more than national security”. 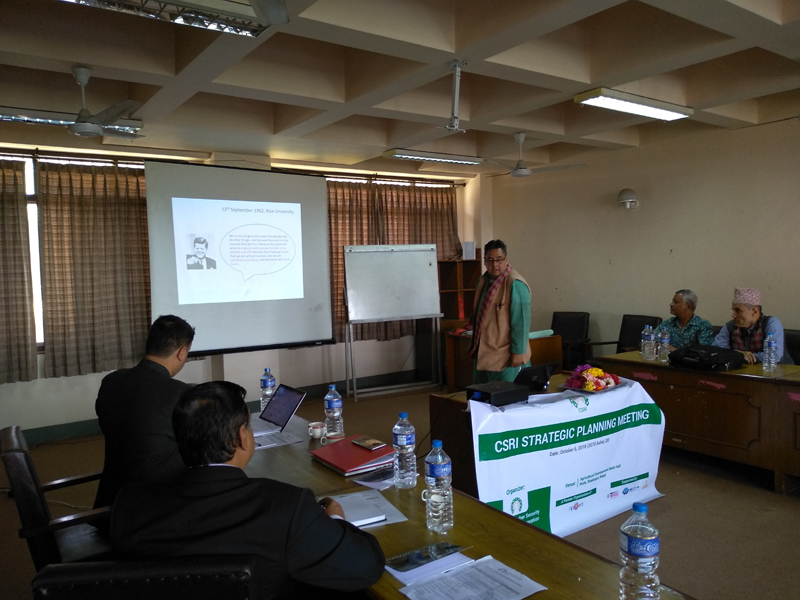 Pokharel informed, “Budgets have already been prepared for cybersecurity, and very soon they will pass too.” Pokharel pledged to allocate budget for cyber investigation. 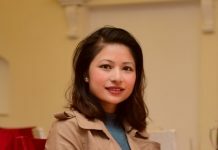 “Still we have not been able to make progress in the field of cybersecurity as expected,” added Pokharel. A meeting also had a session for group discussion and presentation where four different groups outlined possible vision, goals, objectives, and missions for the organization that can be implemented in the future. The Program is supported by Biz Serve IT, Three Monks, ICT Frame Magazine & Texas International College.